China has become the world's second biggest economy and its largest exporter. It possesses the world's largest foreign exchange reserves and has 29 companies in the FT 500 list of the world's largest companies. 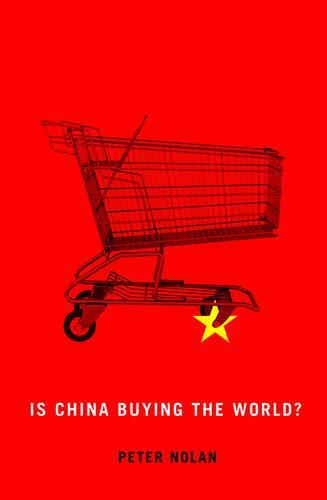 `China's Rise' preoccupies the global media, which regularly carry articles suggesting that it is using its financial resources to `buy the world'. By contrast, Chinese firms have a negligible presence in the high-income countries - in other words, we are `inside them' but they are not yet `inside us'. China's 70-odd `national champion' firms are protected by the government through state ownership and other support measures. They are in industries such as banking, metals, mining, oil, power, construction, transport, and telecommunications, which tend to make use of high technology products rather than produce these products themselves. Their growth has been based on the rapidly growing home market. China has been unsuccessful so far in its efforts to nurture a group of globally competitive firms with leading global technologies and brands. Whether it will be successful in the future is an open question.